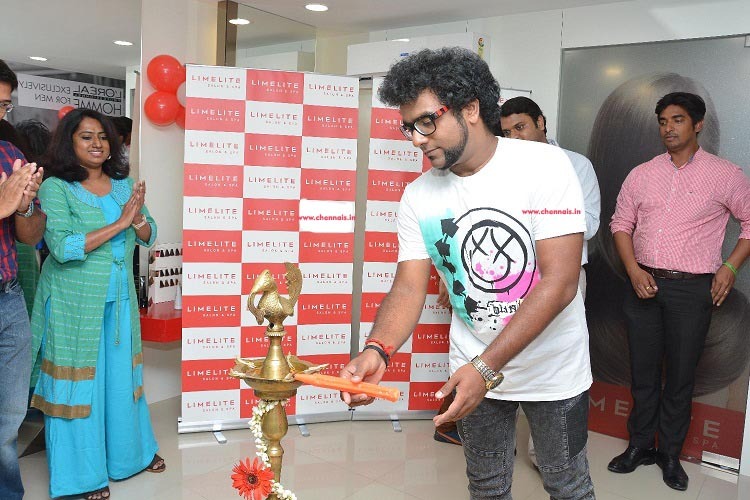 Limelite Salon & Spa, the new order in indulgence opened its 12th salon outlet . Dressed in resplendent red and white, the brand’s colors, the outlet is at its swankiest best replete with a premium interiors, equipment and a whole new range of products in its menu of offerings. 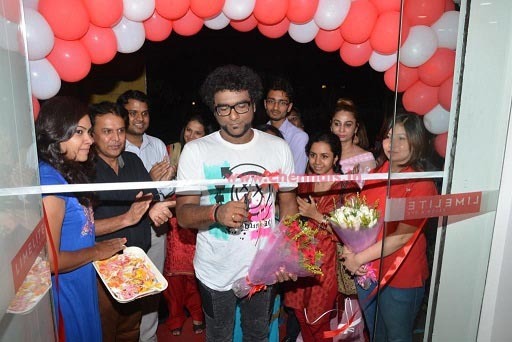 Famous singer, Haricharan Seshadhari inaugurated the outlet and enthralled the gathering with his popular hit songs. The salon spread over 1,100 sq feet, has comfortable and spacious interiors with an exclusive hair design area, pedicure section along with an exclusive private studio for women. Exclusive facial rooms are also available where premium skin services are delivered. The salon has a dedicated private section for bridal studio along with a VIP section for complete privacy. The salon is located at No1, First floor, Kalinga Colony, PT Rajan Salai, (Opp Sivan Park), KK Nagar, Chennai – 600 078 on 044-43567733 for appointments or enquiries. The salon is open on all days from 10am to 9pm. 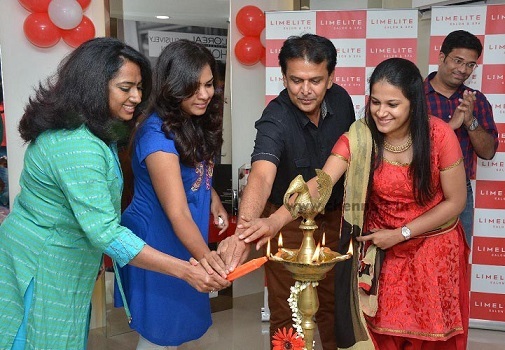 Limelite Salon & Spa today has a presence through 12 salons (company-owned and franchisee-owned) in Noida, Bangalore, Chennai, and Coimbatore. In Chennai, the salons are located at R.A. Puram, Kilpauk, Nungambakkam, L.B. Road, Kilpauk Garden Road, Forum Mall, OMR, ECR and KK Nagar. CavinKare Pvt. Ltd. is a diversified FMCG major with brands in personal care, foods, dairy and beverages. The brand portfolio consists of Shampoos (Chik, Meera, and Nyle), Fairness creams (Fairever), Deodorant and Talc (Spinz ), Pickles & Snacks (Ruchi, Chinni’s & Garden), Hair Colours (Indica), Beverages (Maa), Dairy (Cavin’s), and Beauty Salons (Limelite & Green Trends). Most of the brands are clear winners in their respective product categories. A dedicated R&D centre equipped with latest equipment and technologies constantly supports the divisions in their endeavour. Today with a turnover of over 1200 crore, CavinKare has achieved significant milestones and a competitive edge with sound understanding of mass marketing dynamics and has established a firm foothold in the national market. CavinKare’s success is based on it being firmly grounded to its corporate mission- ‘we shall achieve growth by continuously offering unique products and services that would give customers utmost satisfaction and thereby be a role model’.